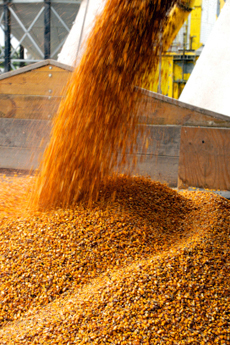 Stored product pests are a group of insects that commonly infest dried food products such as flour, cereal, dried fruits, pastas and grains, leading to contamination. Facilities that produce, process, handle or sell these products are at risk for infestation by stored product insects. These pests can move rapidly throughout a facility to attack dried stored foods in processing facilities and warehouses, destroying the products. 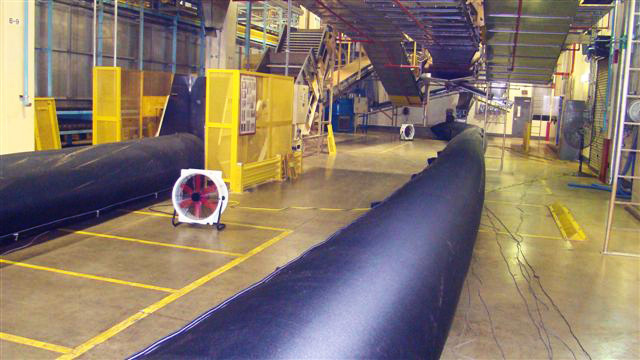 Some stored product insects create cocoons and webbing that can clog equipment and machinery and lead to costly downtime. Since the early 1900's, heat has been recognized as an effective strategy to kill all life stages of insects and pests from eggs to adults. This safe, effective and chemical free alternative is becoming increasingly popular especially with the phasing out of Methyl Bromide. Heat penetrates into areas where chemicals and fumigants can't reach, providing a more thorough job of preventing future infestations. 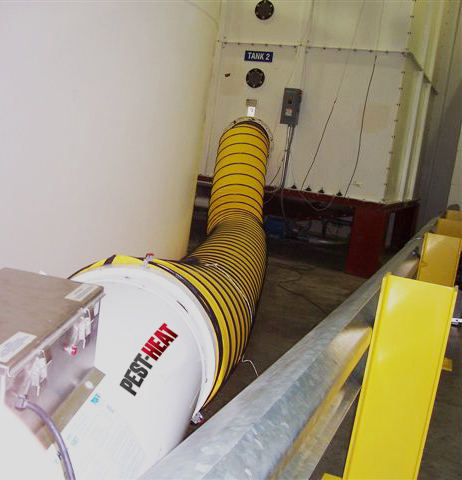 To combat stored product insects, Pest-Heat has developed a heat treatment process that involves using direct fired, make-up air heaters; high temperature fans for airflow management; and a temperature monitoring system. The heaters gradually raise the interior temperature of the treated space, 8-10°F/hr., and then maintain and monitor the temperature between 120-140°F for a period of 24-36 hours. This provides enough time for the heat to penetrate into all cracks and crevices and kill all life stages of insects within the spacing without harming the equipment and avoiding structural damage. 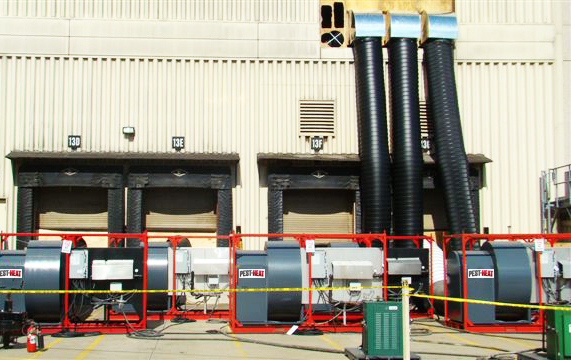 Although the Pest-Heat treatment system is designed to heat treat an entire facility, a cost-effective alternative is a spot or partial heat treatment. Spot or partial heat treatments of a selected area of the facility can effectively control the infestation while the rest of the untreated area can continue to operate uninterrupted.